Unlimited outfit suggestions from your own wardrobe. Free. Blank Black Screen When Adding Items from Camera? Open the ‘Settings’ app on your iPhone/iPad/iPod. Tap ‘Photos’. Please make sure Pureple is set to On. Tap ‘Camera’. Please make sure Pureple is set to On. We’d like to share a trick we use to add the best image for an item we are adding from web. Sometimes web search presents us a few different quality versions of the same image. 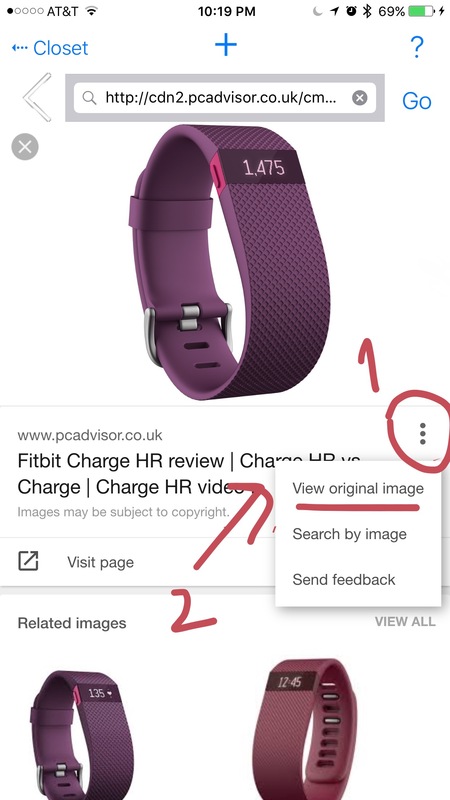 Or the image we want may appear way at the bottom in search results. Tap on it to see it enlarged. Tap ‘View original image’ option. This will open the high quality version of the image. Then tap on the ‘+’ to add it to wardrobe. Pureple also shows the dimensions of the images when you tap on ‘+’ to help you select the best image. We recommend images with dimensions around 512×1024. Keeping track of how often, if ever, you wear an item. You see the dates you wore an item listed under for every item in your closet. Easily seeing how many items you have of a given type/color/season/occasion/brand/size. 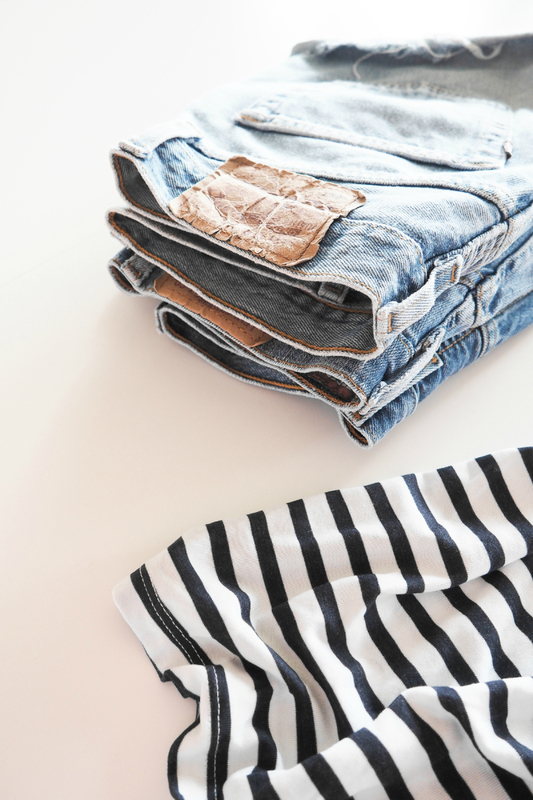 Asking friends to ask whether to keep an item or let it go by inviting them to your virtual closet. Why not ask them how to style it, too? Tagging items with an expiration date. Purge regularly, from your phone, without the mess. If Pureple was of help while cleaning your closet, how did it help? What would be one feature we could add to make it even more useful? via … Of Advanced Maternal Age. Thank you dear Paula for such a wonderful review! We are amazed with young Pureplers like Michelina, their talent, confidence, how they start something and build their brands already! Influencers, entrepreneurs, marketers of future in making. We have gone quiet for the last few days. Seattle weather tricked us again. A cold has been keeping us under water, causing delays in responding to your emails. Please accept our apology. We missed talking to you and will be back on email, Twitter, Facebook and Instagram soon. And here is the good news!! (drum roll please :)) Our next update is getting ready with features you have been asking for. Building your wardrobe and finding what you are looking for will be easier than ever (hint, hint), thanks to your suggestions. We so love how the new version looks! I hope you will, too. Keep an eye on us on Social Media (@purepleapp) for preview screenshots and let us know what you think. By the way, what is your favorite social media channel? We’ve just left Easter behind for the year, however, we could not resist to share these excellent tips from Malin Dahl. “Plan outfits! With the app Pureple I can plan future outfits, and have them saved on your mobile so that they should not go into oblivion. Smart! ” says Malin. Thank you <3. We are fascinated to see that Pureple is taking a tiny part in the lives of such talented, amazingly inspiring individuals around the world. By the way, while you are there, you may also want to see New York in her eyes. We fell in love with the details she captured! She sure made us want to visit NY again!.. “This is the era of technology! No one can deny it! It’s the time for smartphones, iPhones, apps, phones that do everything and anything! And you might as well take the best out of it!! Q: Did you misspell purple? Why did you name the app Pureple? A: No. Well, yes and no. Although it’s not uncommon we misspell certain words, purple was not one of them. We had to misspell it to be able to register a domain name (www.pureple.com) as purple.com was taken long ago. Purple is the color our daughter, then 4 year old, was fascinated with. We wanted to include her to this new night and weekend project mom & dad is talking about passionately for hours. Now 6 years old, she draws some of the art we use in marketing. Soon you might see some on the blog. Q: Is it the movie ‘Clueless’ what inspired you for writing Pureple? A: No, we wish we did watch ‘Clueless’ before writing Pureple. We found out about it from dear Pureplers after Pureple was released. Then we watched the Cher’s closet scene over and over. It’s so much fun to be associated with. Q: Now a serious question. What sets Pureple apart from other similar apps? Our Suggestion engine, which learns user’s style over time and suggests full outfits from your own closet. You do not have to take pictures of what you own to build your wardrobe. Pureple finds the images for you from the web. This allows building your wardrobe anywhere, when you get a chance. Plus, you usually get professional pictures. It also remembers where you added an item from, in case you’d like to go back and find out more about it. Q: Do you use Pureple yourself? A: Yes! We all do. Last I checked, I had 481 items and hundreds of outfits in my Pureple closet. With kids and busy work, that’s the only way I am able to plan my outfits. It helped me realize that first, I have too much items, most of them unused, yet, if I could find/see the right item at right time, I’d love to use them. Next, even though I am an organization freak, I both lack the time and a big enough closet to perfectly organize. With the technology we have right now, it is not only super easy digitally, it is also possible to organize in incredible ways e.g. all the different ways I can wear an item. Now I can get out of the house feeling pretty good about how I look even if I had only 5 minutes. Enter your email address to follow Pureple blog and receive notifications of new posts by email. A closet full of clothes but nothing to wear. Sounds familiar?